The Good Road is a 2013 Indian drama film written and directed by Mr. Gyan Correa. The film has been selected as the Indian entry for the Best Foreign Language Film at the 86th Academy Awards. The film won the award for Best Gujarati film at the 60th National Film Awards. 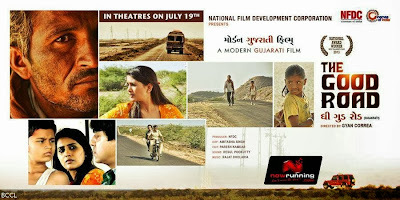 The film is told, where several stories are intertwined with the center of the action being a highway in the rural lands of Gujarat near the town of Kachch. The film is the first Gujarati film ever selected to represent India at the Oscars.